Security, increased productivity, and more money are the keys to this adventure. We may call the injected chip “ancient,” when compared to today’s technology to identify persons. Nevertheless, the tendency and goal is clear: total control. Ultimately, a manmade system that will have complete authority when it comes to worship. We need to realize that the god of this world has ruled humanity since the garden of Eden; but then, about 2,000 years ago, Jesus came and offered total liberty. Only a minority accept that offer, believing Jesus Christ to be the Son of the living God. His voluntary death on the cross, where He poured out His life in His blood, is all-sufficient to save every person on planet earth for all eternity. The devil must do likewise: he needs to copy the Lord Jesus. 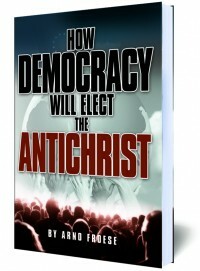 That’s why he is called “Antichrist.” His ultimate goal is that humanity will worship him.